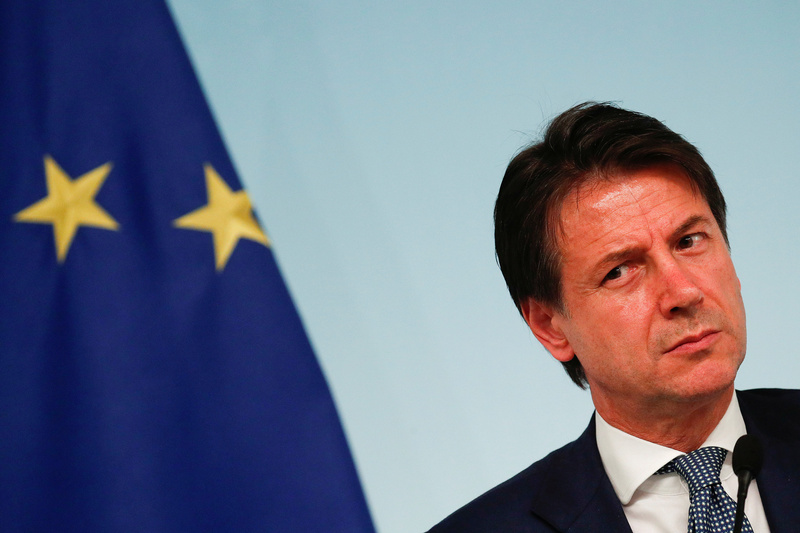 Italy’s anti-austerity budget flouts Brussels’ fiscal rules. Declaring Rome in breach and imposing penalties would fuel euro scepticism ahead of key European elections. Better to tone down the rhetoric, and let a slowing economy and hostile markets weaken the executive’s hand. Italy's Prime Minister Giuseppe Conte attends a news conference at Chigi Palace in Rome, Italy, September 24, 2018. European Commission Vice President Valdis Dombrovskis told Italian newspaper Il Sole 24 Ore that Italy’s draft budget for 2019 “significantly” deviates from previous commitments, according to an article published on Nov. 16, increasing the risk that Brussels declares Italy in violation of EU fiscal rules. The Italian government on Nov. 14 rejected calls from the European Commission to reverse plans to boost public spending. Finance Minister Giovanni Tria wrote in a letter that Italy would keep a budget deficit target of 2.4 percent in 2019. The European Commission had previously asked Italy to revise its projections, which are based on growth targets the EU deems too optimistic. The Commission also objects to Italy’s plan to increase its structural deficit – calculated excluding one-off and cyclical swings – by 0.8 percent of GDP, as opposed to the 0.6 percent cut required under EU rules. Italian Deputy Prime Minister Luigi Di Maio said on Nov. 15 the Italian government would work to avoid any EU disciplinary procedure. Italian 10-year bond yields have risen by over 150 basis points since May, when the right-wing League party and the anti-establishment 5-Star Movement formed a coalition government.